Honey Stop The Car!! 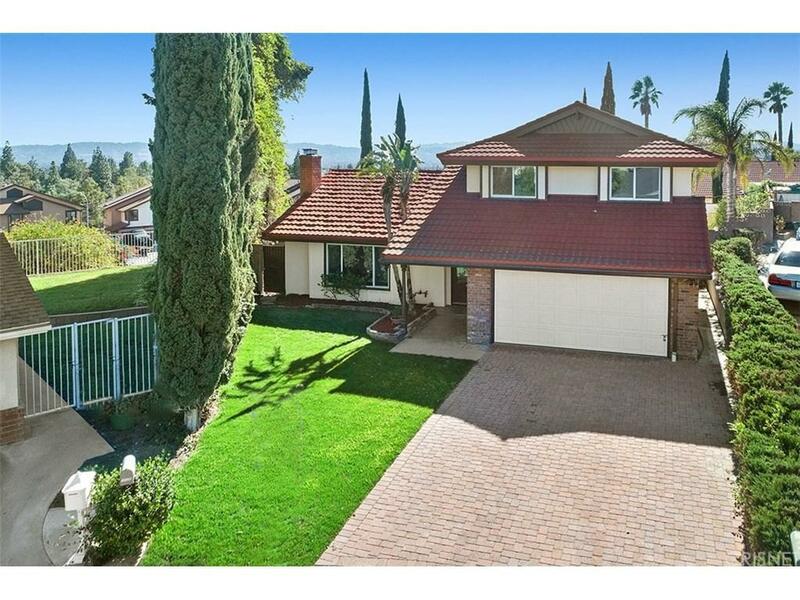 This home is nestled in the hills of Porter Ranch on a cul-de-sac with a PRICELESS view. Features include an updated kitchen with new Cabinetry, new Stainless Steel appliances, Lazy Susan, Built-In Microwave, beautiful counter tops, and tiled back splash. Huge living room with recessed lighting and accent Crown Molding. You can't miss the wall to wall brick fireplace with Mantle & Hearth. Soft earth tones are accented by recently installed hardwood/laminate flooring. Each bedroom is spacious to large accented with earth tones and updated flooring. Master bedroom is downstairs overlooking pool, master bath fetatures included accent lighting, bold vanity with stone counter top. His and Her bath featured upstairs with dual sinks, tub, and updated hardware. 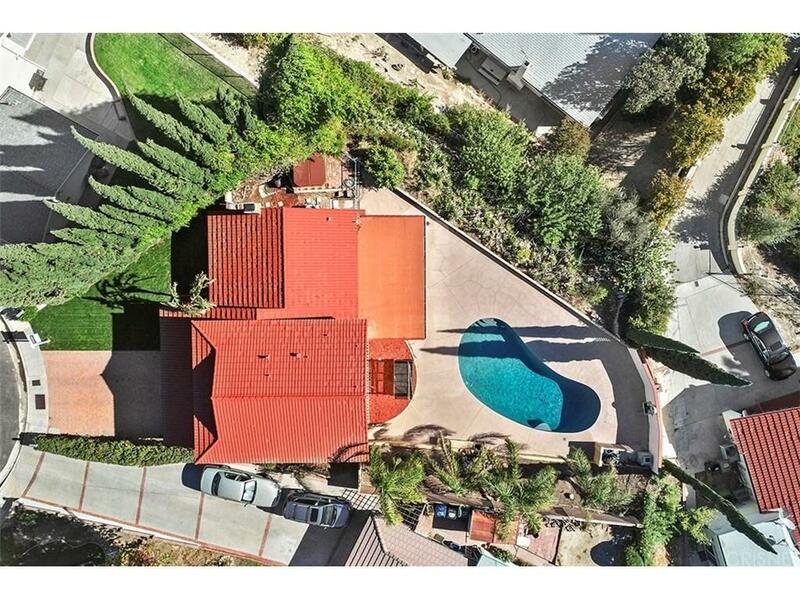 Updated windows throughout, Central A/C & Heat, full 2 car garage with direct interior access, spacious dining area with VIEW adjacent to bonus/patio enclosure (Buyer to verify all permits)leading out to an inviting POOL!! Thousands spent on recent improvements including front yard park-like landscaping. Call agent for further details!!! Sold by Beatrice De Jong BRE#01203084 of O L Realty. 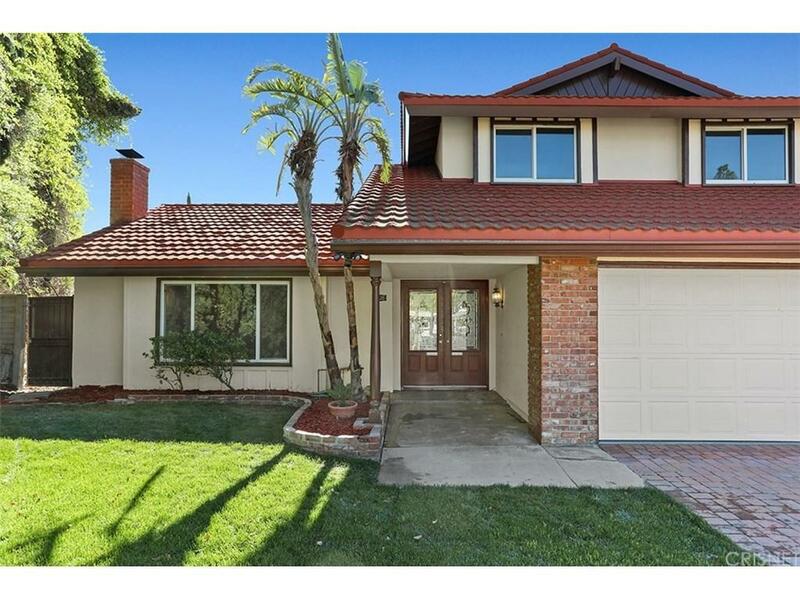 Listing provided courtesy of Sean Sullivan DRE#01203084 of Pinnacle Estate Properties,Inc.